In the previous post, we have successfully Installed Zerto in our VMware vSphere environment. Since we only have a single site we have activated replication to self. Now that all this is nicely up and running, we can start moving forward. Here is coming what’s called VPG (Virtual Protection Group). In this post we’ll get all details about How-to Create Virtual Protection Group (VPG) In Zerto and start protecting your VMs. Zerto Virtual Protection Group (VPG) groups your VMs together (or it can contain single VM only) and those VMs gets replicated to another site/another host. Think of it as an envelope which contains your VMs. Why would you choose to replicate some VMs together you may ask? It’s because you certainly need data in sync. Let’s say you have a multi-tier application which has web servers, load balancers, backend DBs. Or a couple of domain controllers…. You certainly need to protect them together. By having them in the same VPG it does ensures consistent recovery points (RPOs) across all grouped machines. 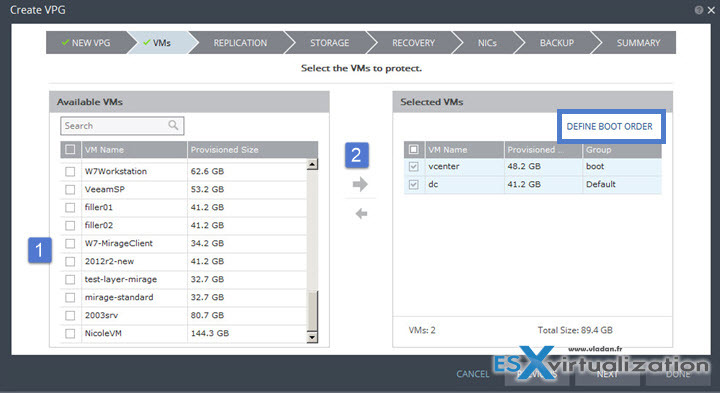 VPG has to have at least one VM, but you can add more VMs later. Nice assistant page opens. Note it’s layered page (not a pop-up another browser window). Next step is to put VMs into the VPG. Simply check the box next to the VMs you want to protect > Click the right arrow > done. 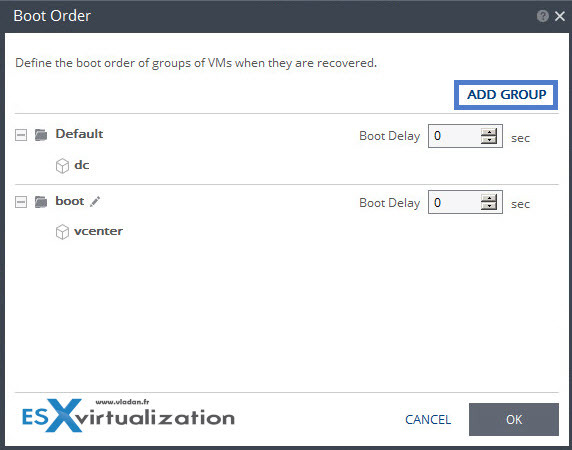 You may define a boot order to have those VMs booting up in the correct order. In order to do this Click the Define Boot Order link > Add Group. 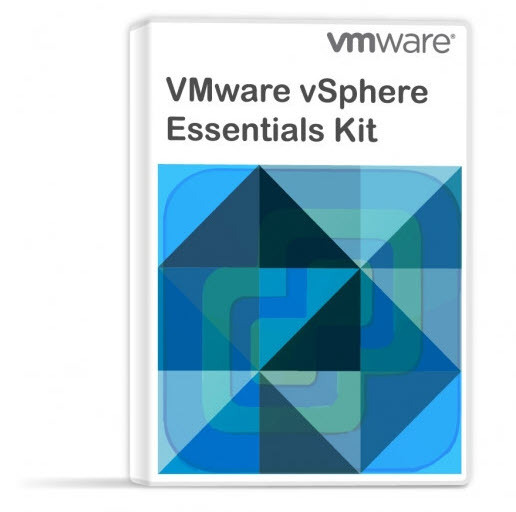 Then simply drag-and-drop the VM to the good position…. You have a possibility to setup a boot delay as well…. Next step we need to chose where we replicate. In our case we only have single site so its the same (main datacenter). Journal size hard limit – maximum size of the journal. (this can be unlimited, percentage or size in Gb). Journal size warning threshold – this triggers a warning message when reached. 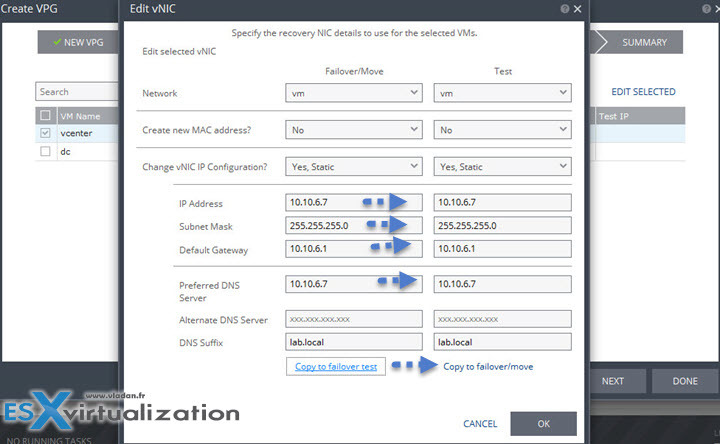 Recovery settings – Failover network (this is the default network used for failover). 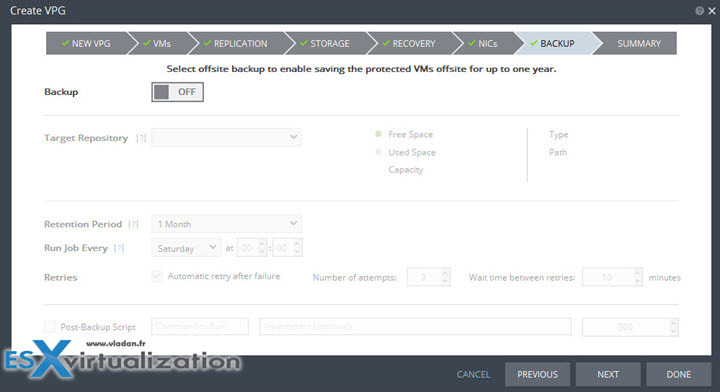 You can override the VPG settings and define diferent recovery folders on per-VM base by hitting the VM settings button. 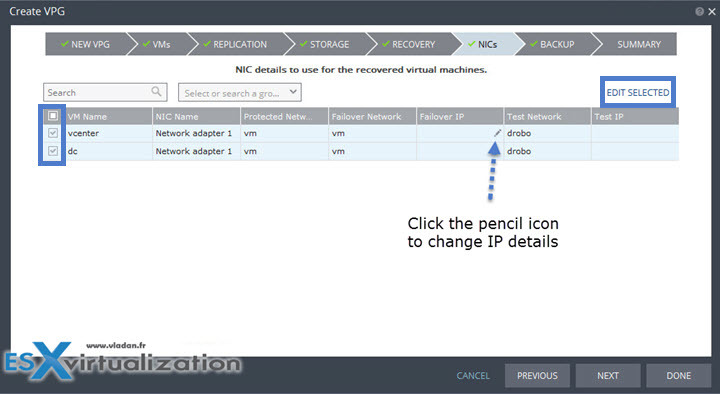 so you can change the IPs for failover/move and test. Note that there is a link below which allows copying IP config from one to another … time saver -:). Next page shows Backup. For now let’s leave it as OFF. We will get back to this feature in our next post as it’s interesting. Last Screen – a recapitulation page. You can see all details (with graphics). The VMs on the right, Journal history, target RPO, hosts/datastres ec…. By clicking the Done button you succesfully created your first protection group! Right after the VPG opens as a new TAB (which is “closeable”)…. The INITIALIZING area is selected by default…. Next to the MORE link there is EDIT VPG link which brings the assistant window that we just completed. Done! You’re protected replicating from one site to another or from one site to the same site (another host/cluster). The navigating through the product is a real pleasure. The web UI is fast and responsive. If you don’t like vSphere web client you’d love Zerto web UI. One of the next post will talk about backups within Zerto, but we will obviously cover the main part which is failover and failover tests. Stay tuned!